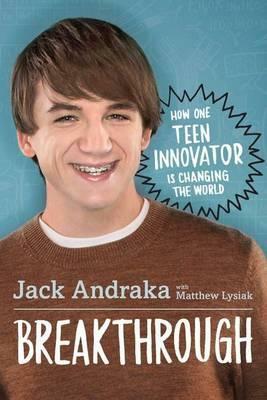 When Jack Andraka was 13, he had all kinds of problems – not only was he a school misfit, but a close family friend was dying of cancer. But instead of feeling miserable, he put his passion for science to good use and devised a better cancer detection method. By the time he was 15, he’d come up with an early-detection test for pancreatic, ovarian and lung cancers – it has the potential to be more than 400 times more effective than the medical standard. His book is an inspiring tale of overcoming depression, bullying and homophobia and having the perseverance to follow your heart. 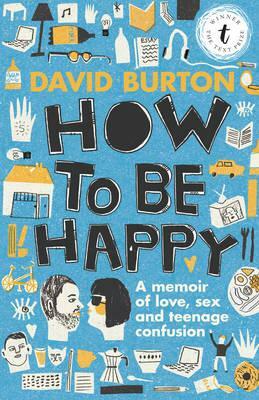 When playwright and theatre director David Burton started high school, it seemed like nothing was going his way: he was desperate for a girlfriend, but his first date went horribly wrong; he was tormented by bullies; he suffered from depression and anxiety. When he discovered drama class, he thought he’d found a solution – but was his ‘Crazy Dave’ persona just a bandaid? Honest, hilarious and heartbreaking, this is a must-read story of adolescent agony that will resonate with teens and adult alike. One of the world’s greatest breaststrokers, Queensland’s Leisel Jones won two silver medals at the Sydney Olympics, when she was just 15; she won gold at Athens and Beijing and became the first Australian swimmer to compete at four Olympics in London in 2012. But behind the glory is the story of a normal Aussie girl who found herself thrust into the media spotlight at a very young age, battling depression and body image issues in the full glare of the public eye. 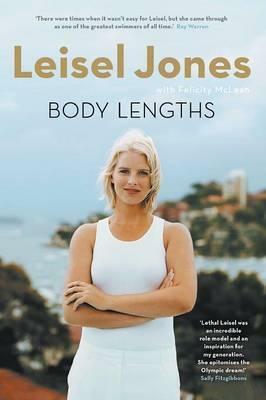 This is an insightful and candid memoir from one of Australia’s most accomplished athletes. 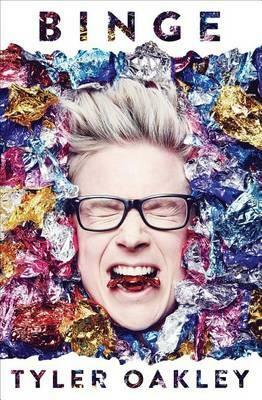 Tyler Oakley loves oversharing, and the world loves his oversharing right back – he started making YouTube videos at 18, and quickly amassed a huge following of fans. Now a pop culture phenomenon and prominent advocate for LGBTQI rights, Tyler has brought his trademark cutting wit and brutal honesty to the page instead of the screen, sharing all kinds of uproarious personal mishaps in this funny and touching collection of essays. 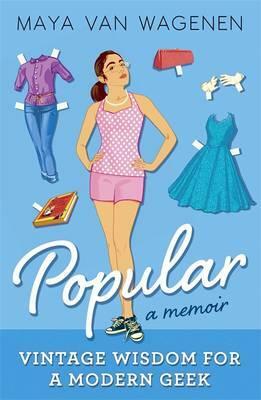 As a middle schooler in a small Texas town, Maya Van Wagenen never felt like she really fit in. So when she discovered a 1950s popularity guide that her dad picked up in a thrift shop – Betty Cornell’s Teen-Age Popularity Guide – she decided to put it to the test. For one school year, she followed the book’s advice on everything from grooming to hostessing and recorded her experiences in a journal. 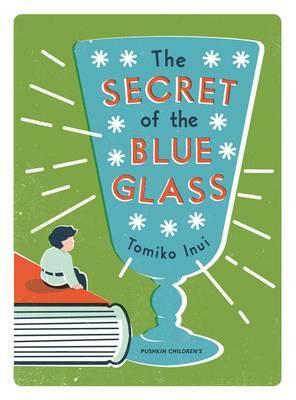 The result is this book – a wonderfully frank and witty account of one girl’s unusual attempt to find her place in the world. 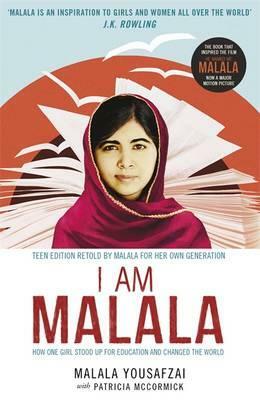 In 2012, 15-year-old Malala Yousafzai was shot at point-blank range for daring to defend her right to attend school. Malala had already made herself a Taliban target in her home country of Pakistan for defending girls’ education. She wasn’t expected to survive her shooting, but made a miraculous recovery and has gone on to become an international symbol of hope and the youngest winner of the Nobel Peace Prize. This is a fascinating, inspiring and important story of courage and self-belief. 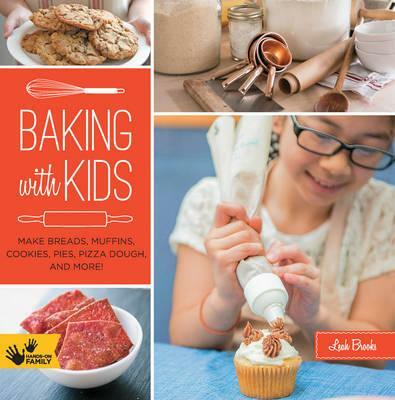 Everything you need to know about teaching kids to bake! This great guide is packed with treat-tastic recipes for cakes, muffins, pizzas, scones and basically any lip-smacking you can think of that comes out of an oven. With step-by-step pictures and tips on kitchen safety and equipment, this book is sure to satisfy young appetites. 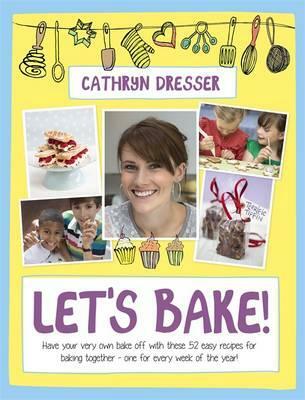 You’ll have the tastiest 12 months of your life with Cathryn Dresser’s 52 easy baking recipes – one for every week of the year! From sweet treats like friendship chain cake and banana sandwich custard pud to savoury bites like spicy chicken filo rolls and dippy baked eggs with soldiers, this is the ultimate handbook for budding chefs. 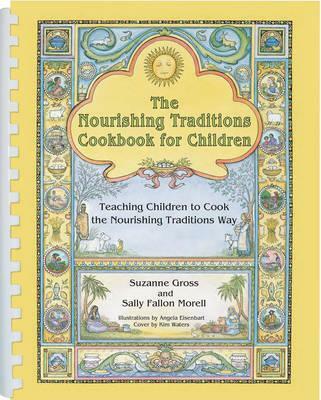 This fabulous cookbook for health-conscious foodies teaches kids about the benefits of whole grains, vegetables, eggs, butter, raw milk, meat, broth, fermented foods, healthy desserts and more. Following on from the incredibly popular Nourishing Traditions cookbook, it’s full of easy-to-follow illustrated recipes for every meal of the day. This gorgeous book from Jane Harbison Design – a Brisbane-based company that creates products that encourage ‘doing’ for young girls – features favourite recipes from 12 girls under 15. From breakfast and break time to dinner and dessert, these simple and satisfying recipes come straight from the heart. 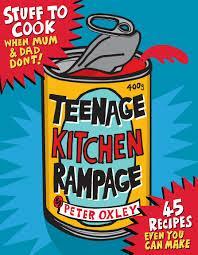 The essential kitchen survival guide for teens! It features recipes for basics like hummus, pizza dough and omelettes, mealtime staples like spaghetti carbonara, roast chicken and classic Greek salad and includes useful about kitchen equipment, how to cook rice and how to char a capsicum. It’ll turn teens into gourmands in no time! 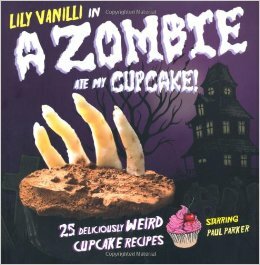 This devilishly good cookbook reinvent the cupcakes – say goodbye to pretty decorations say hello to cakes inspired by insects, zombies, roadkill, body parts and more! Renowned London baker Lili Vanilli shows you how to make radioactive slime cakes, morbid meringue bones, bleeding hearts and more. It’s a truly terrifying treat! When famine hits Ireland in 1848, wild-spirited Bridget knows she must set sail for Australia or risk starving to death in the workhouse. But making a new life for herself on the other side of the world isn’t going to be easy. 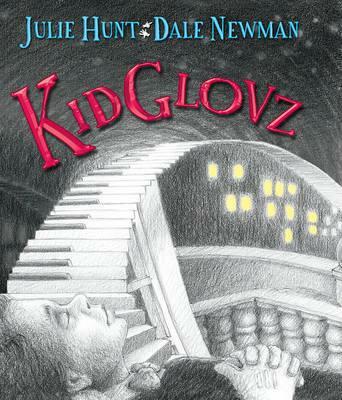 A brand new story starring Verity Sparks, a young detective with a special talent for finding lost things. Verity’s on holiday in Castlemaine in 1880 when a shocking crime is committed and some terrible secrets come to life. It’s summer in Nevada in 1949, and Ivy’s decided to hire herself out and look after people’s farm animals and pets while they’re away. She won’t just have to deal with a stubborn pony and a naughty puppy, but the trouble caused by the boy next door. This fascinating biography for younger readers offers a glimpse of life in China during the Second World War. Adeline Yen Mah’s mother died in childbirth, so her family considered her bad luck and her stepmother was relentlessly cruel. 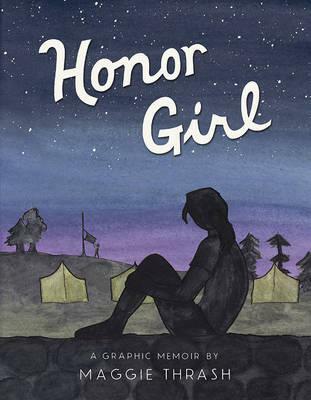 This is a powerful and moving coming-of-age story of overcoming the odds. Six-year-old Peekay lives in a South Africa divided by racism and hatred under Apartheid. But when he takes up boxing, he discovers the power of being true to yourself and resolves to fight the injustices of his country. What if Napoleon had gone riding into battle on a giant prehistoric carnivore? 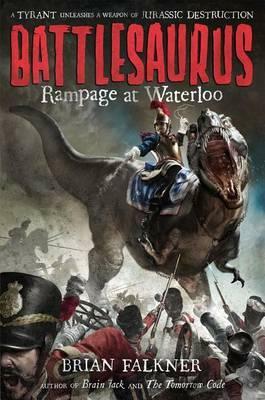 In this action-packed re-imagining of the epic 1815 Battle of Waterloo, that’s exactly what happens – and the consequences are as monstrous as they are wildly inventive. In 1942, 16-year-old Nancy Clancy is sent to Malaya to bring home her sister-in-law Moira and baby nephew Gavin. But when their ship is bombed during the fall of Singapore, all three are reported missing – and back home at Gibber’s Creek, a young man called Michael refuses to accept that the girl he loves is gone. During the long, tough years of the Great Depression in 1930s rural Australia, Harper Flute lives with her parents and four brothers and sisters as they struggle to survive a life of poverty in a land exhausted by the nineteenth century gold rush. Graphic novels are on the rise, and they’re a fantastic way to get kids into reading and introduce them to different forms of storytelling. As more children’s publishers take advantage of growing interest in these kinds of visually-led narratives, graphic novels are addressing all kinds of subjects in striking and inventive ways. From real-world issues like finding your place in the world and discovering your sexuality to imaginative contexts like quirky animal kingdoms and post-apocalyptic fairy tales, graphic novels are bound to have something to capture the attention of avid and reluctant young readers alike. 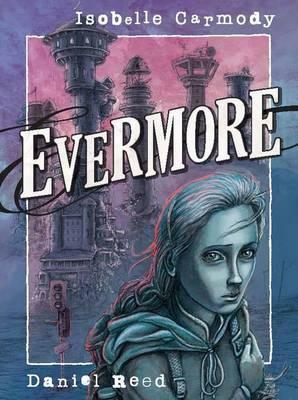 Rose is the princess of a bleak post-apocalyptic world known as Evermore, and she longs to escape its grim surrounds. Under the wise guidance of her nanny, Pilar, Rose embarks on two quests: one to uncover the truth about the death of her mother, and one to discover the dark past of Evermore itself. 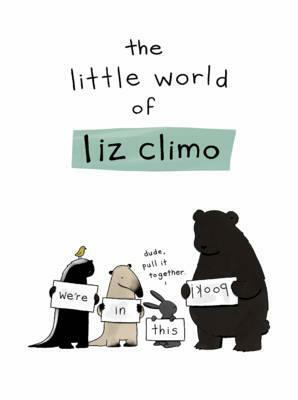 Join the whimsical world of animal-loving artist and animator Liz Climo, where rhinos, bears, porcupines, rabbits, foxes and even dinosaurs enjoy amusing exchanges and interesting encounters with one another. A joy for kids and adults alike! 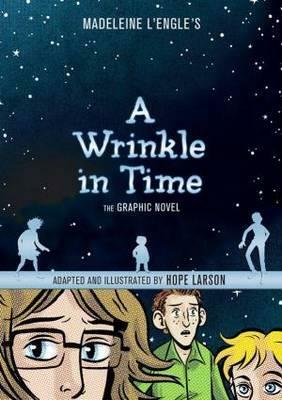 Madeleine L’Engel’s classic novel for kids gets the graphic treatment in this captivating adaptation by American comic book artist Hope Larson. One night, Meg Murry, her brother Charles Wallace and their friend Calvin are whisked away by three mysterious creatures. Together, they must save Mr Murry, whose top-secret work for the government has had him captured and held hostage on another planet. When Masha’s dad gets a new girlfriend, Masha’s had enough. Armed with her grandmother’s important life lessons – that stories are useful, magic is fickle and nothing is too difficult to clean – she escapes into the woods. 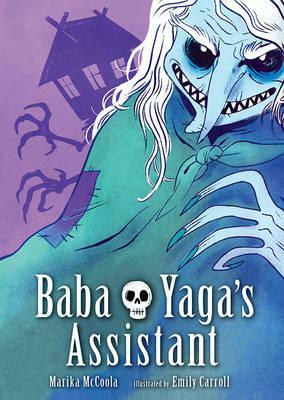 It’s here that she meets the famous witch Baba Yaga, who’s in need of an assistant – can Masha pass the witch’s tricky tests and get the job? Fifteen-year-old Maggie loves the Backstreet Boys, has never been kissed and is looking forward to spending her summer at Camp Bellflower for Girls. But everything changes when she falls for 19-year-old camp counsellor Erin. Can Maggie keep her feelings secret? And does Erin feel the same way?